The home decor products at @Home furnishings are varied, and designed to cater to your every fancy. 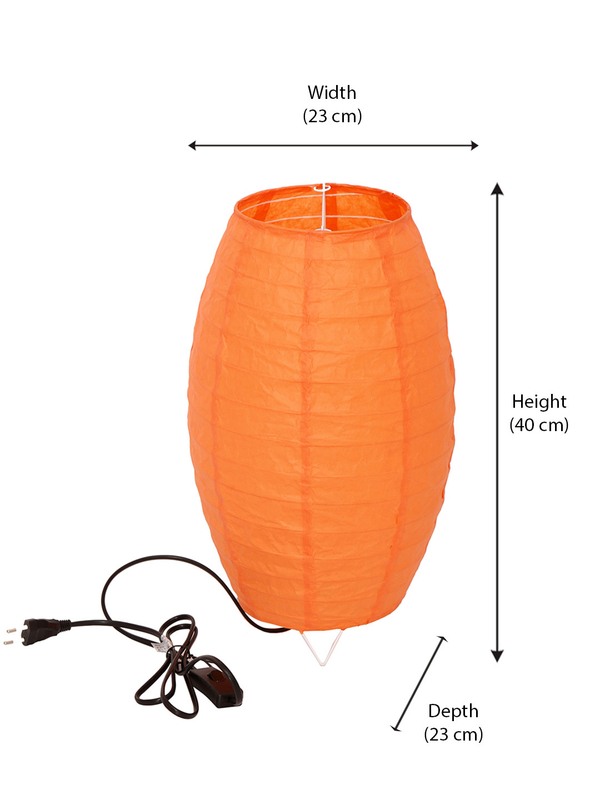 The Moonlight Table Lamp is one such product, which is now available in a distinctive orange colour. The product has a height of 40 cm and a cross sectional diameter of length 23 cm. The cylindrical shape is inflamed at the centre providing an extra ordinary shape. The material used in the making of the product is paper, which may not seem very durable but is definitely the option that is more important for our environment. There is no complicated design, but it the frame of the lamp is visible through the paper.A lamp can greatly accentuate the decor of your home. Especially in case of modern decor, which predominantly consists of cold colour schemes and edgy designs, a lamp can provide ambient lighting to the setting. You can place the Moonlight Table Lamp in your living room and enjoy the beams of light when the lamp is switched on. You can also place it in the dining area of your bed room to bathe the setting in a calming orange light. Buy the Moonlight Table Lamp today from @Home furnishings to reap the benefits.